I had a low tire pressure on one tire and brought the car to Active Green without an appointment as I was nervous to drive the car. As it turns out, all of my tires were in terrible shape and had to be replaced. The service was excellent. These Lads are the best!!!! Unbeknownst to me the fuel filter gave up on me on the way from work today and within minutes of my phone call and arrival Robin figured out the cause and ordered the fuel filter which Romano replaced without trouble. I appreciate how clean, open and friendly this location always seems -- so much so that I go out of my way to have my car serviced here rather than at other locations that are closer to me. The team was so accommodating after I was late for my appointment at the end of the day. So appreciating them not making me feel guilty. The gentleman at the front desk was amazing - so funny and kind! Mechanics installed a battery in my car while I waited. Extremely affordable and fast. 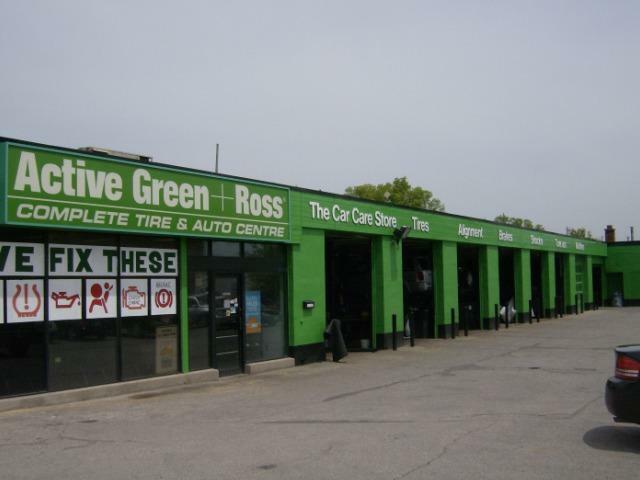 Was thrilled with the service and will take my car my car back in the future..
Staff at Green & Ross 859 are always very professional and continue to provide great service every time I bring my vehicles in for service. Thanks for dealing with my car while I waited yesterday. I'd apparently booked as a collect later in the day, but my plans changed as my daughter had a PA day, so I needed the car. Much appreciated that you were able to accommodate me. Thanks! PERFECTION in Service, as always. They treat me like gold and I trust the gents at this store 100%. I am so lucky to have found them.